Ethan and I took his tricycle to the park the other day to ride around and get some photos. He loves that tricycle, although he does not have the pedaling part down just yet...but we are working on it. But he loves to get off and on. And on the way out the door, he spotted his Diego sunglasses so we HAD to bring them. And the boy would not leave them alone. He thought he was so cool wearing his sunglasses. 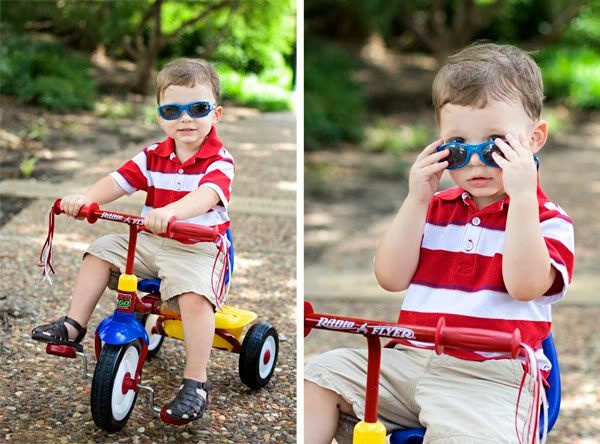 My favorite shot of the day is the one with him in his sunglasses on his tricycle smiling (below)...that one is going on the wall in his new big boy room, which will be revealed on the blog soon (as soon as it's done, that is). What a stud! 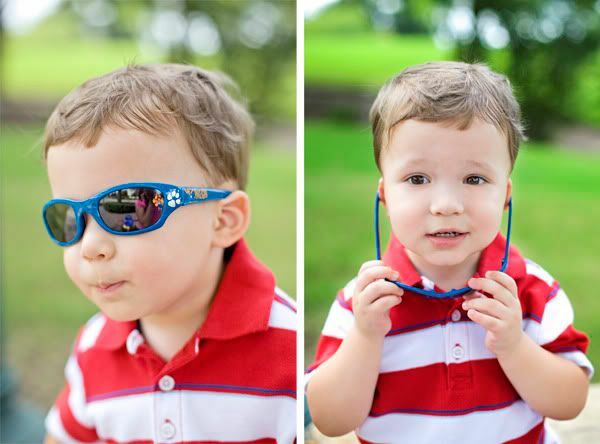 My boys love their sunglasses for about 30 seconds and then take them right off! Too cute...and I can just picture him saying "alrighty" as he rode his trike!